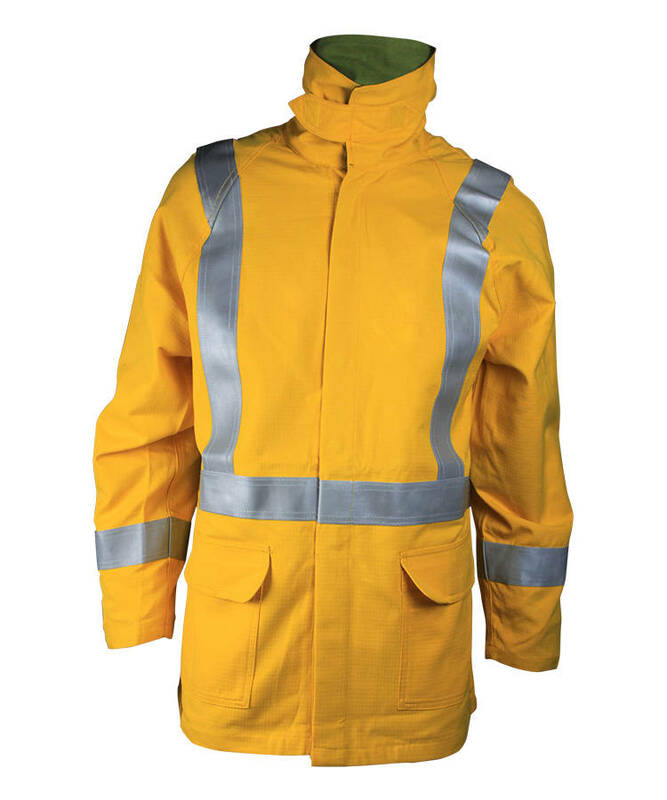 This anti acid alkali winter jacket made of 305 gsm 100% Cotton anti-acid alkali fabric, and can meet AATCC22, AATCC118, EN13034, ISO4920 and other standards. This anti acid alkali winter jacket is comfortable, breathable and moisture permeable, soft feeling, comfortable wearing. 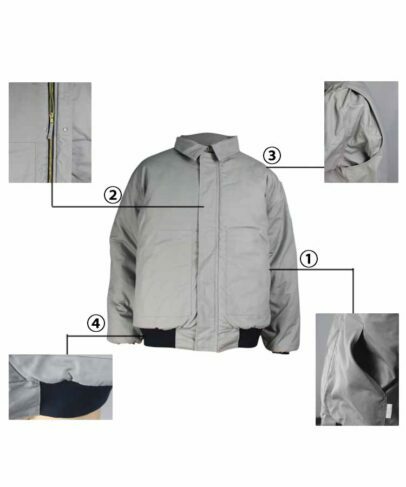 In the front above waist of the anti acid alkali winter jacket, there is two slant patch pocket , suitable for put goods. 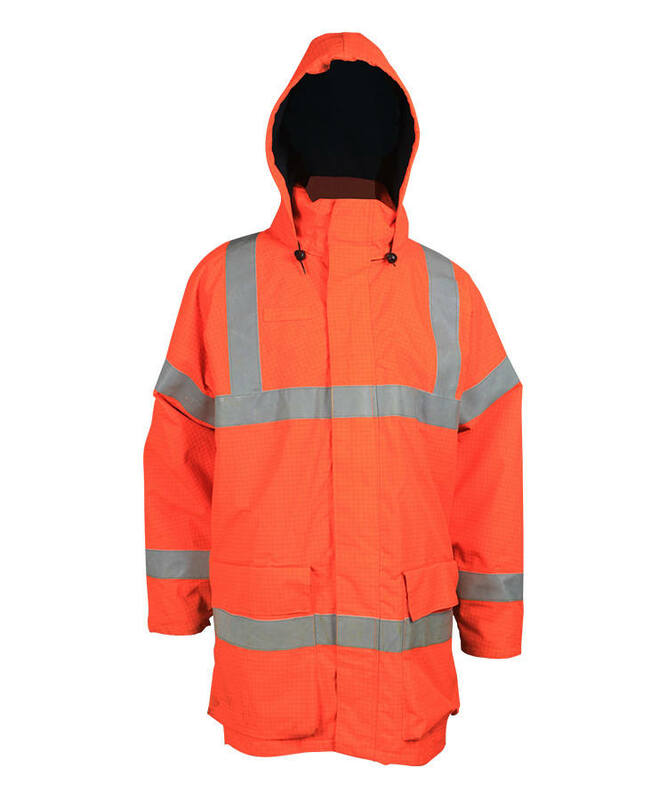 Front closed by single opened flame retardant metal zipper, front fly closed by snap button, inside there is inner fly, so that metel part will be directly contact skin ,in this way this anti acid alkali winter jacket will protect worker better, at the same time warmer and windproof . 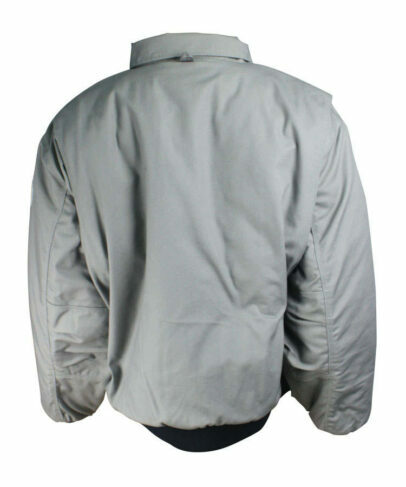 Active shoulder gives anti acid alkali winter jacket arm more space of motion ,this can decrease the possibility when raise the arm ,the anti acid alkali winter jacket will hang up accordingly. 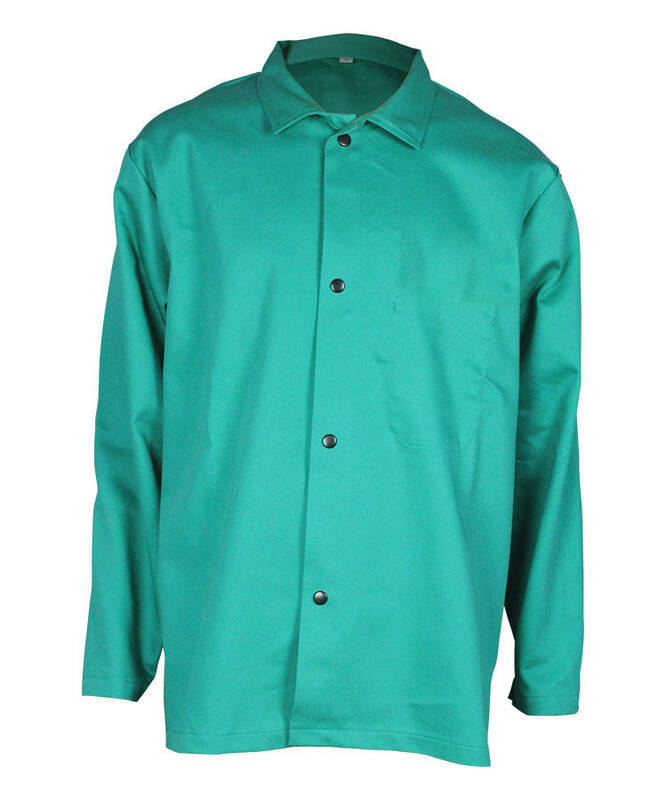 Under hem it is knitted rib fabric and basic fabric of jacket ,comfortable and keep warm . 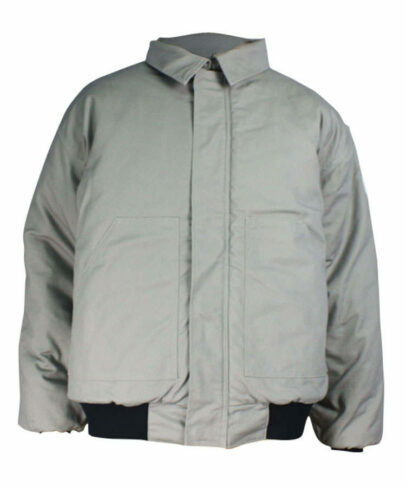 There is pleats under anti acid alkali winter jacket sleeve, so that it is comfortable for arms bend or spread . There is knitted rib fabric on the cuff ,windproof ,warm and comfortable. 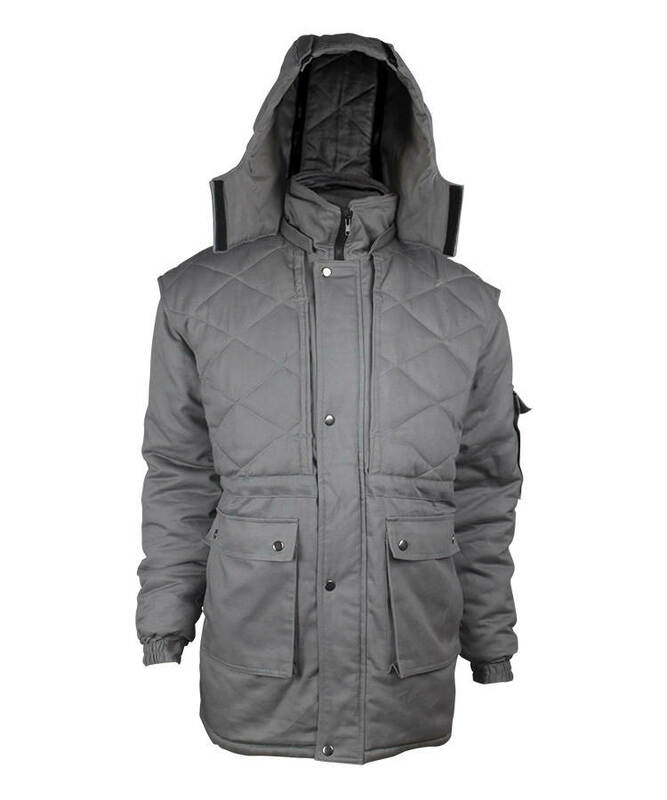 Inside of this anti acid alkali winter jacket,diamond type quilting seam, make jacket warm and safe. Inside of this anti acid alkali winter jacket, it is a pocket use basic fabric of jacket, closed by Velcro, can put some important goods . There is collar rab on the center back of collar, fastened by bartack, so that it is very convenient to hang up the jacket, very firm.